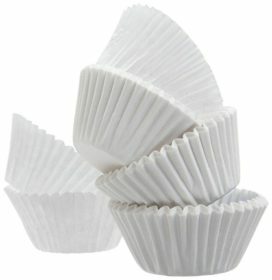 Imagine being able to make savory sweets and not have to worry about the rest. 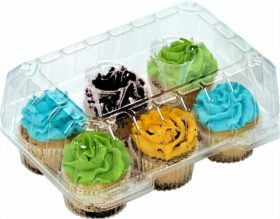 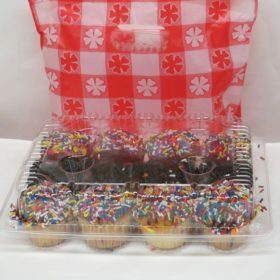 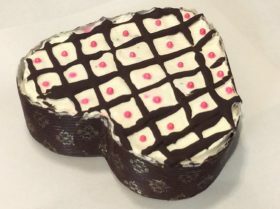 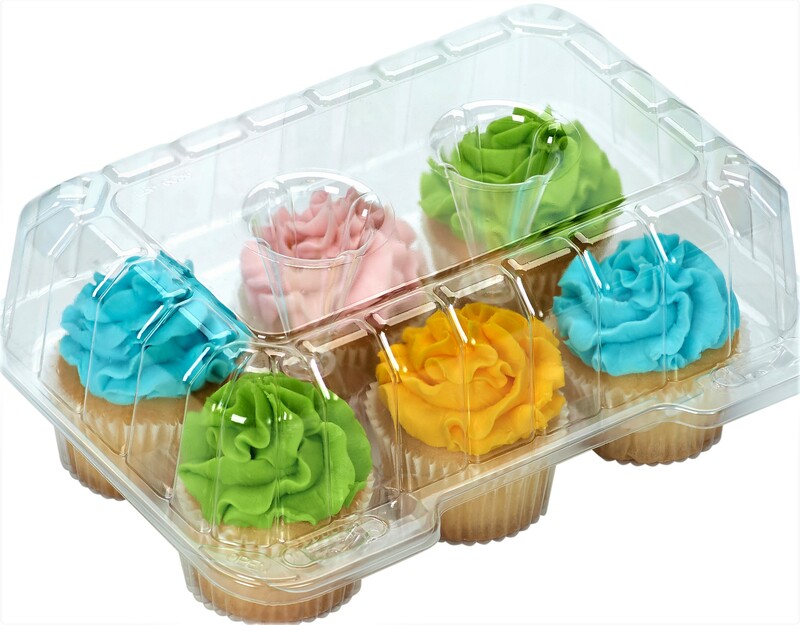 this 6 count, deep plastic Muffin/Cupcake container you can do just that! Display your decadent desserts with this high top container to increase visibility of your product. 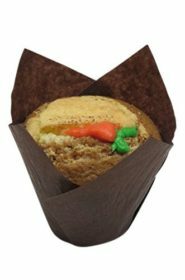 Decony Brown Tulip Cupcake Liners- standard size , appx. 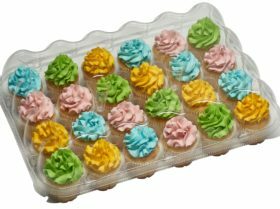 100 Ct.